More and more high-rises are popping up around the Gold Coast as its council gears up for the commonwealth games. Not only is the Commonwealth Games on the way, but the Gold Coast is expanding. And expanding at a rate of around 16,000 people per year: which means by the year 2016 the Gold Coast will be home to 750,000 residents. In 2018 the Commonwealth games are coming to the Gold Coast. The new swimming pool is near completion: the light rail should be taking passengers in the next two to three weeks and the Southport/Labrador area is slowly being cleaned up. Part of this clean-up is the many new and modern buildings being erected. All through Southport and Labrador old, derelict buildings are being torn down and replaced by new, modern and chic apartment blocks. As a company that excels in steel fabrication and erection, BridgeFab a Brisbane-based business has been working on various projects around the Coast. 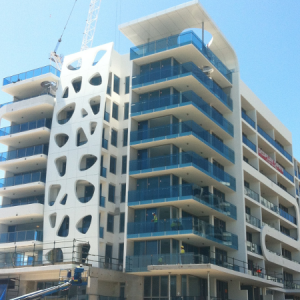 One of these projects is Sapphire at the Broadwater. 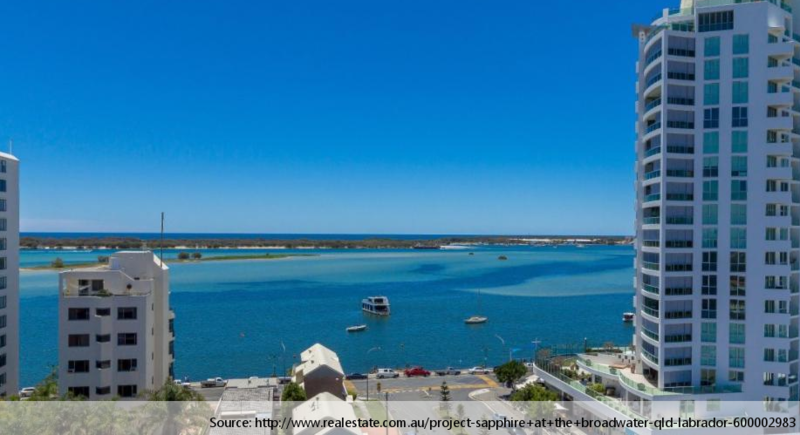 This is the view from the Sapphire at the Broadwater. Just one of the buildings BridgeFab has worked on recently. The Sapphire is a bold, contemporary architectural concept come to life. Modern and chic, this building design of soft fluid curves and dramatic highlights captures the delightful sense of freedom that comes from living in a natural environment such as the Broadwater. As a structural steel company we have invested in the best technology to ensure your job is accurately cut and fabricated to exact standards. BridgeFab use modern 3D software to manage your job from saw through to being delivered on site. BridgeFab constructed the steel frame of Sapphire and ensured it was erected accurately. 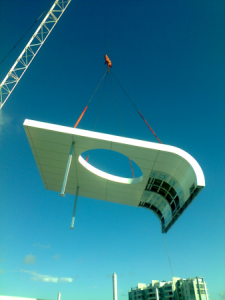 From the steel frame to the curved roof: BridgeFab’s diverse skillset and services mean we are capable of handling a diverse range of steel fabrication and erection requests from clients. To find out more about BridgeFab’s services, or to request a consultation, please contact us today.